I truly loved how it turned out. At first, I was worried that it would take to long or that my idea for the design would be too different from the samples. However, Kay was so flexible and such a great communicator. And it came a day and a half earlier than we originally planned, which is always great. Kay always got back to me within a few hours and that made the process so much easier. The price was also very fair and in fact, cheaper than I expected. 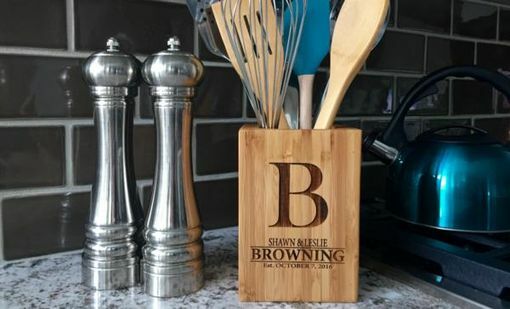 Overall, the cutting board looks amazing and it is identical to the original design I wanted. I would definitely recommend it to friends/family or order another one. I ABSOLUTELY LOVED IT!!!! Great job, Kay! 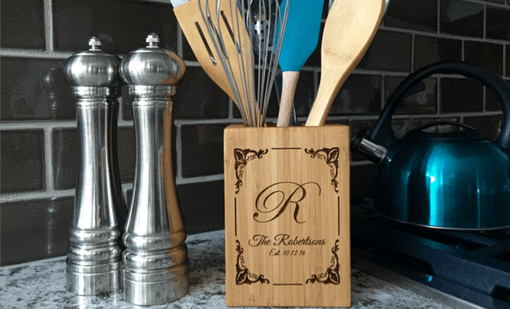 Keep the tools you need while cooking always in reach with our beautiful personalized bamboo kitchen utensil holder. 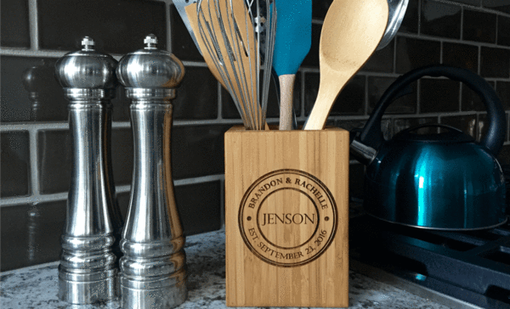 This will look amazing on any countertop and is very convenient for holding a wide variety of utensils and gadgets. 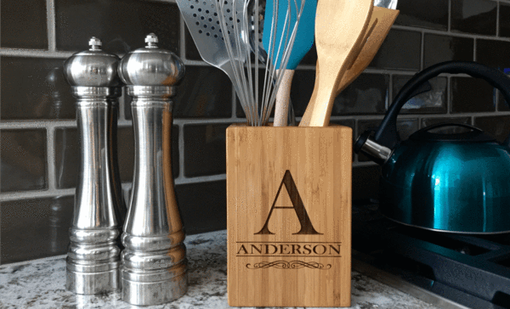 Choose from 6 unique personalization designs, and then personalize with any names you wish! 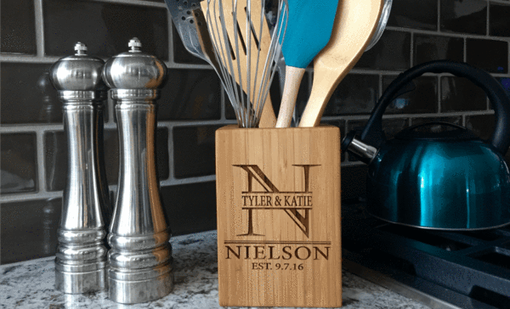 These make fantastic gifts for bridal showers, weddings, anniversaries, housewarmings, birthdays, Christmas, but most importantly you! 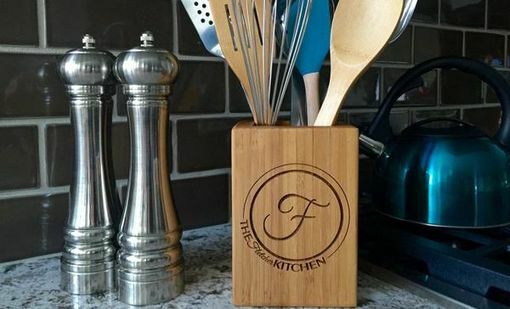 Hand-crafted from 100% sustainable bamboo. Solid construction – will last for years to come. Measures 6.5 x 4.5 x 4.5. Your order includes a free mock up of the design so that we can make sure that it all looks perfect for you! Every maker has a story. Be a part of Qualtry's story by placing an order, leaving a review, and seeing your review appear here.